2. Dogs DO have better low-light vision than humans because of a special light-reflecting layer behind their retinas. 3. A German Shepherd guide dog led her blind companion the entire 2100-mile Appalachian Trail. 5. Dogs’ only sweat glands are between their paw pads. 6. Like human babies, Chihuahuas are born with a soft spot in their skull, which closes with age. 8.Teddy Roosevelt’s dog, Pete, ripped a French ambassador’s pants off at the White House. 10. Franklin Roosevelt spent $15,000 for a destroyer to pick up his Scottie in the Aleutian Islands. 11. In Roman times, Mastiffs donned light armor and were sent after mounted knights. 12. The Russians trained dogs during WWII to run suicide missions with mines strapped to their backs. 13. A dog’s mouth exerts 150-200 pounds of pressure per square inch, with some dogs exerting up to 450 pounds per square inch. 14. A one-year-old dog is as mature, physically, as a 15-year-old human. 15. The U.S. has the highest dog population in the world. 16. France has the 2nd highest dog population in the world. 17. The average city dog lives 3 years longer than a country dog. 18. 87% of dog owners say their dog curls up beside them or at their feet while they watch T.V. 19. Dogs can be trained to detect epileptic seizures. 20. 15 people die in the U.S. every year from dog bites. 21. In 2002 alone, more people in the U.S. were killed by dogs than by sharks in the past 100 years. 22. Gidget is the name of the Taco Bell dog. 23. Newfoundlands are great swimmers because of their webbed feet. 24. Basset Hounds cannot swim. 25. Greyhounds are the fastest dogs on earth, with speeds of up to 45 miles per hour. 26. Bingo is the name of the dog on the side of the Cracker Jack box. 27. The bible mentions dogs 14 times. 28. Three dogs survived the sinking of the Titanic – a Newfoundland, a Pomeranian, and a Pekingese. 29. The Labrador Retriever is the #1 favorite breed in the U.S., Canada, and the U.K.
30. Obesity is the #1 health problem among dogs. 31. An estimated 1,000,000 dogs in the U.S. have been named as the primary beneficiaries in their owner’s will. 32. An American Animal Hospital Assoc. poll found that 33% of dog owners admit to talking to their dogs on the phone and leaving answering machine messages for them while away. 33. Dog’s nose prints are as unique as a human’s fingerprints and can be used to accurately identify them. 34. At the end of the Beatles’ song “A Day in the Life,” a high-pitched dog whistle was recorded by Paul McCartney for his sheepdog. 35. 70% of people sign their pet’s name on greeting and holiday cards. 36. 58% put pets in family and holiday portraits. 38. The phrase “raining cats and dogs” originated in 17th century England when it is believed that many cats and dogs drowned during heavy periods of rain. 40. Humans have kept dogs as pets for over 12,000 years. 41. The largest breed of dog is the Irish Wolfhound. 42. The world’s smallest dog breed is the Chihuahua. 43. The St. Bernard is the heaviest. 44. Only dogs and humans have prostates. 45. But dogs do not have an appendix. 46. Every dog on earth likely descended from a species knows as the Tomarctus – a creature that roamed the earth over 15 million years ago. 48. In 1957, Laika became the first living being in space via an earth satellite, while JFK’s terrier, Charlie, fathered 4 puppies with Laika’s daughter. 50. An African wolf dog known as the basenji is the only dog in the world that cannot bark. 51. 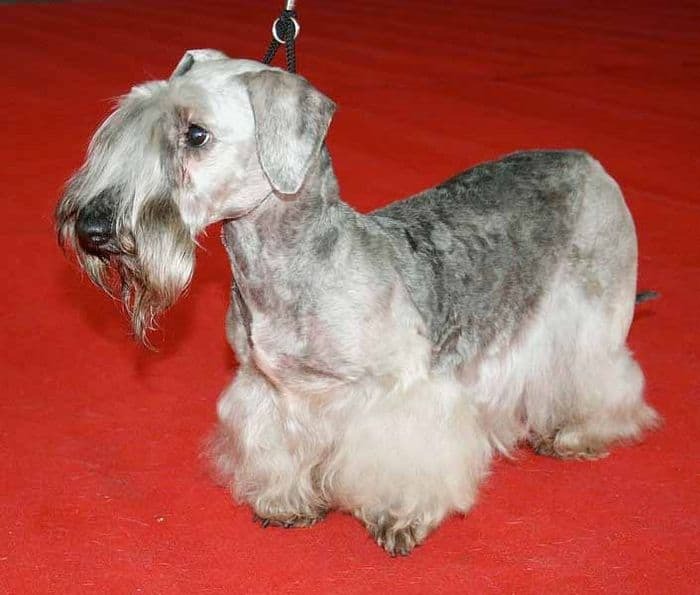 There are 703 breeds of purebred dogs. 52. Dachshunds were originally bred for fighting badgers. 53. 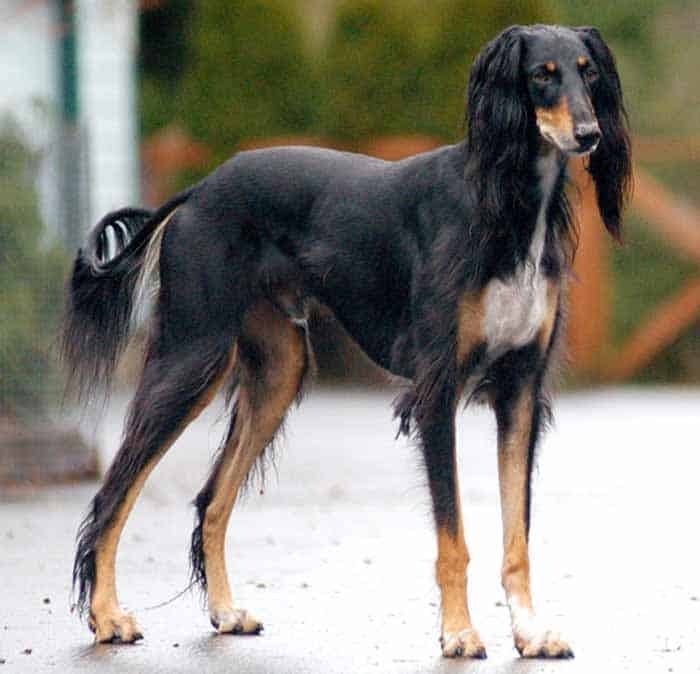 The world’s smartest dogs are thought to be (1) the border collie, (2) the poodle, and (3) the golden retriever, while the dumbest dog is believed to be the Afghan hound. 54. A dog’s smell is more than 100,000 times stronger than that of a human’s, which they need because their eyesight is not as keen as a human’s. 55. Dogs judge objects first by their movement, then by their brightness, and lastly by their shape. 56. Chocolate contains a substance known as theobromine (similar to caffeine), which can kill dogs or at the very least make them violently ill.
57. George Washington had thirty-six dogs – all foxhounds – with one-named Sweet lips. 58. All dogs are identical in anatomy – 321 bones and 42 permanent teeth. 59. Smaller breeds mature faster than larger breeds. 60. Female dogs are only ready to mate – “in heat” – twice a year for a total of roughly 20 days. 61. Puppies sleep ninety percent of the day for their first few weeks. 62. Rin Tin Tin was the first Hollywood Dog Star and he really signed his movie contracts – all 22 of them – with a paw print. 63. The Wizard of Oz’s Toto was played by a female Cairn Terrier named Terry. 64. Up until the late 1800’s, Collies were known as Scottish Sheepdogs. 65. Dogs have two times as many muscles to move their ears as people. 66. The longer a dog’s nose, the more effective it’s internal cooling system. 67. An elderly woman was saved by her 12-pound Yorkshire Terrier who fought off an 80-pound Akita and survived with only 9 stitches. 68. U.S. Customs dogs “Rocky” and “Barco” were so good at patrolling the border that Mexican drug lords put a $300,000 bounty on their heads. 69. Dogs are all direct descendants of wolves. 70. Wolves and dogs can mate to produce feral offspring. 71. Female wolves have been known to travel great distances to regurgitate full meals for their hungry pups. 72. Cerberus was the tri-headed dog that guarded the underworld in Greek mythology. 73. Female dogs bear their young for 60 days before they’re born. 74. Dogs’ sense of hearing is more than ten times more acute than a human’s. 75. Humans can detect sounds at 20,000 cycles per second, while dogs can sense frequencies of 30,000 cycles per second. 76. The earliest dog-fossil dates back to nearly 10,000 B.C. 77. Bloodhounds are prized their ability to single out and identify a number of scents simultaneously. 78. Dalmatian puppies are born completely white. 79. The Ancient Chinese carried Pekingese puppies in the sleeves of their robes. 80. Boxers are so named because of their manner of playing with their front paws. 81. All breeds of dog have been found to attack livestock – from 3-month-old puppies, all the way up to thirteen-year-old poodles. 82. A dog’s heart beats up to 120 times per minute, or 50% faster than the average human heartbeat of 80 times per minute. 83. The oldest dog on record – a Queensland “Heeler” named Bluey – was 29 years, 5 months old. 84. Davy Crockett had a dog named Sport. 85. Dogs were first domesticated by cavemen. 86. Dogs live 15 years on average. 87. Many foot disorders inn dogs are simply an issue of long toenails. 88. More than 5,000,000 puppies are born in the U.S. every year. 89. More than 1 in 3 American families own a dog. 90. Average body temperature for a dog is 101.2 degrees. 91. The Girl Scouts and Boy Scouts both offer merit badges in dog care. 92. Dogs are natural pack animals. 93. They are naturally submissive to any creature with higher pack status – human or canine. 94. Dogs instinctively require the pack leader’s approval. 95. Dogs with little human contact in the first three months typically don’t make good pets. 96. The Chihuahua was named after the state in Mexico where they were discovered. 97. After birth, puppies’ eyes do not fully open until they’re about 12 days old. 98. Their vision is not fully developed until after the 1st month.